The apartment Sotto le Stelle is composed of three beautiful bedrooms: Hawthorn, double; Anemone French conletto orange color (1/2 people); Green calendula, French bed. The living-room consists of a spacious living room, kitchenette and dining area. 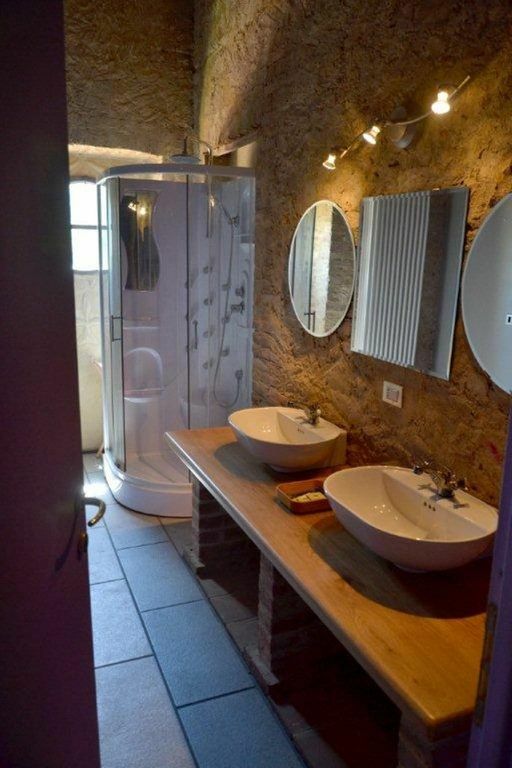 The residence is complete with a large bathroom with two sinks, shower, in part, changing room. Suitable for families from 4 to six people. The residence "Under the Stars" is part of an old farmhouse of 1889, surrounded by greenery, situated on the beautiful hills of Monferrato, a land of fabulous red wines and simple, wholesome foods. The house is in the town center but absolutely sheltered from the noise and confusion, the property includes a park and an orchard all around that guarantee the peace. The house is completely refitted with period materials respecting tradition, inside furniture and antique prints give it a warm and elegant look.